How Can an Art Consultant Help Me? For some, an art consultant brings to mind New York City, unlimited funds, and the search for the perfect Renoir! You may wonder, but what if “unlimited funds” does not describe my budget? And what if I’m looking for something in a different price point then say, a Renoir? How can an art consultant help me? A good art consultant should understand your price point and help you achieve your goals within that budget. A good art consultant should be approachable, knowledgeable, and have an instinct for design and placement. And finally, a good art consultant should make the process of finding art enjoyable. In today’s world, we use our smartphones to capture moments as they unfold around us like never before. It’s time to get these images off of our phones (or computers!) and up on our walls where they can be enjoyed everyday. An art consultant can help you pick out the images that will work best in your space: one stand-out shot for a special wall or a grouping that works well together for a hallway. 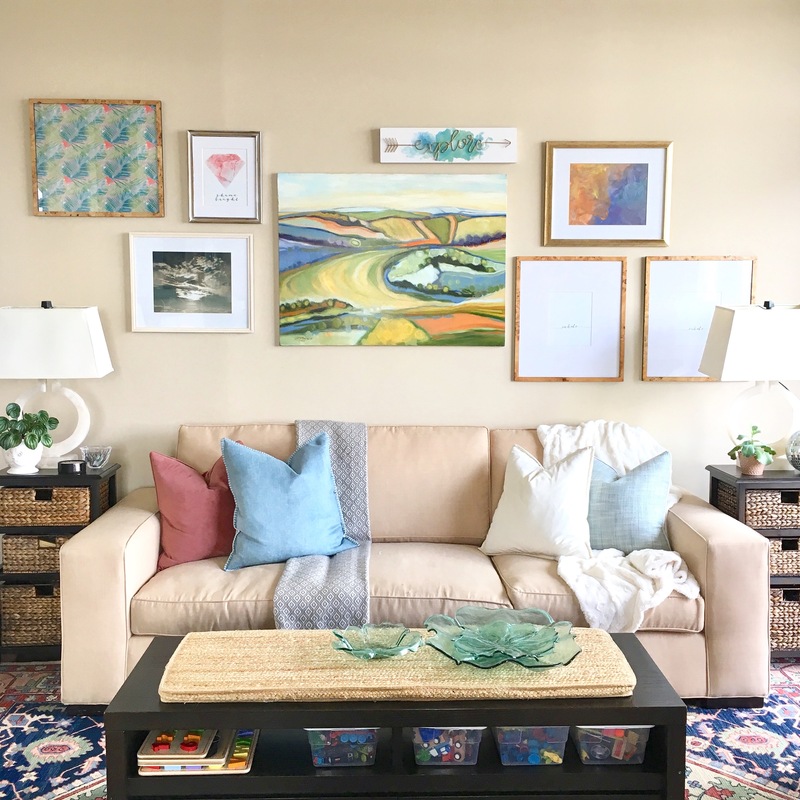 An art consultant can help build visual interest by determining the right size photograph for the right space, the type of framing that looks best, and how the piece(s) should be hung. And Voila! Now that magical vacation you took to the Caribbean last spring is a wintertime reminder that warm weather will come again! Precious newborn photography stands out in custom framing. Why Choose Art Consulting for the Real World? Art Consulting for the Real World is about being helpful no matter the scale of the project. It’s about getting your artwork back up on your walls quickly and efficiently after a recent home move. It’s about having those newborn photographs framed and hung in the nursery without ever having to leave your home or your precious baby. Art consulting for the real world is about having your home look polished before you host your next family gathering. There are endless possibilities and I am here to help! Contact me today to get started in your home!